In December 2015, ArtHouse issued a request for qualifications for two public art commissions: Illumination, a light-based sculptural work, and Surface, a work to enhance the façade of the ArtHouse building. These two works will transform the exterior of ArtHouse and help establish the re-imagined space. Over forty talented applicants from around the world submitted qualifications from which eighteen were chosen for presentation to an Internal Review Committee (IRC) composed of artists, business owners, and arts administrators. 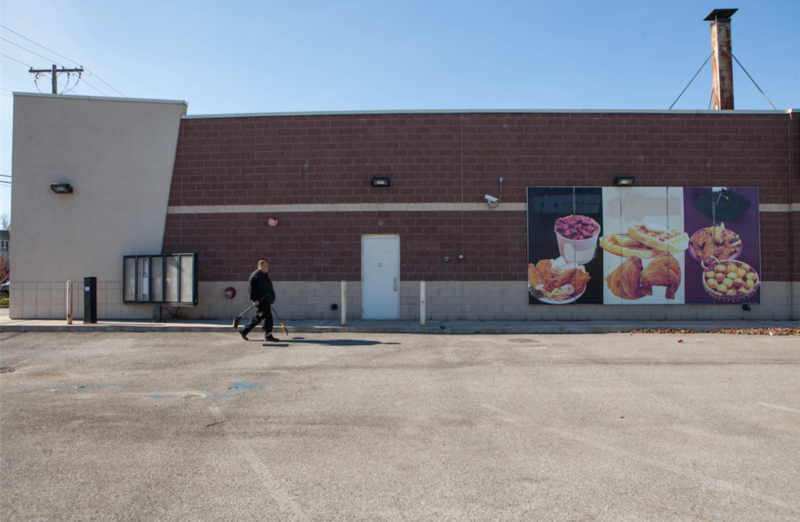 Ultimately, six individual artists and teams were selected to submit full proposals for these temporary, original, site-responsive public artworks. In June 2016, ArtHouse announced the winning team: Ripple + Wilson and the LIGHT LAB concept. Ripple and Barbara Wilson of Ripple Architecture Studio and the University of Virginia have combined backgrounds in award-winning architecture and community engaged design that creates a dynamic team to contribute art honoring Gary’s manufacturing expertise, community pride, and future potential. 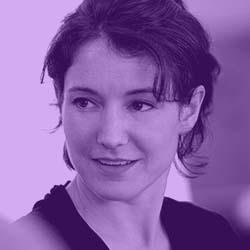 Jeana Ripple is the founding principal of Ripple Architecture Studio. Her work uses manufacturing processes as a driver for design innovation. Ripple Architecture Studio has won multiple AIA awards and has been internationally exhibited and published. More information on Ripple Architecture Studio can be found at: ripplearchitecture.com. Dr. Barbara Wilson is an urban planner, leader in the practice of community engaged design, and known for her ability to partner with local nonprofits to craft youth-led design initiatives. Wilson has won numerous local and national awards for her community engaged design efforts and is recognized as one of the “top 100 leaders in Public Interest Design.” More information on Barbara Wilson can be found at: arch.virginia.edu/faculty. 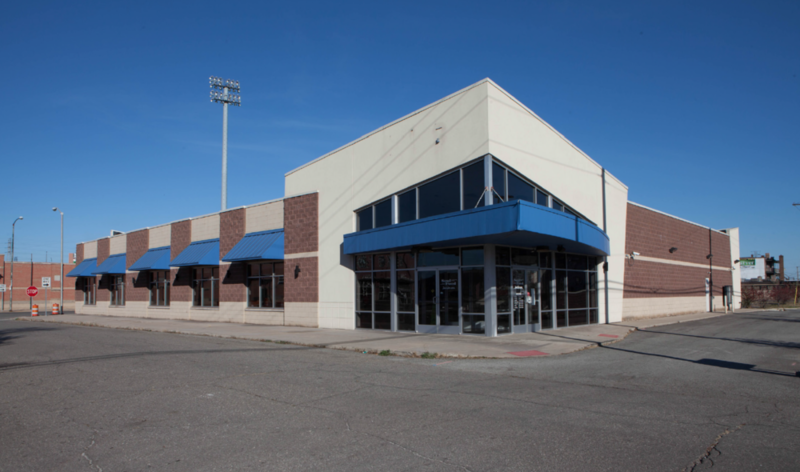 These images show the current state of the building that will be reimagined by Ripple + Wilson and the citizens of Gary. The final work will be unveiled in October 2016. Alongside the external public art, ArtHouse will also reveal the winning work of a privately commissioned designed object for the building’s interior. Ripple + Wilson won the commissions for both ILLUMINATION, a substantial light-based sculpture meant to create presence and highlight activity at ArtHouse, and SURFACE, a significant façade installation that will add aesthetic value to the building. 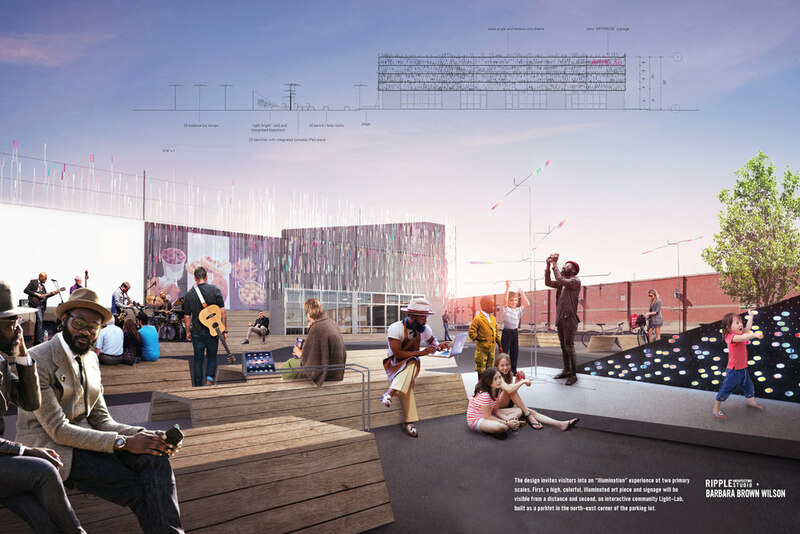 The team’s proposal, LIGHT LAB, utilizes a steel and cable framework strung with color-filtering, rhythmically patterned lanterns. The proposal honors Gary’s history of manufacturing and tactile approaches to learning. 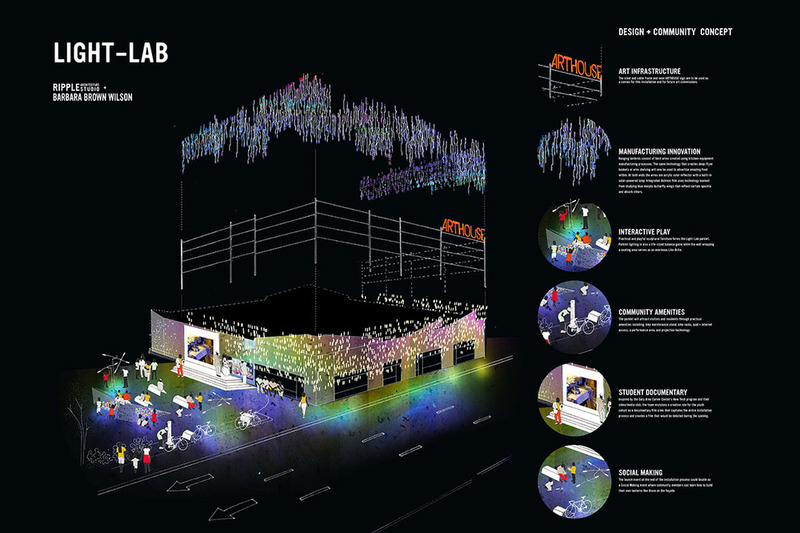 LIGHT LAB uses regional manufacturing processes and salvaged material to wrap the building in an illuminated surface, enliven the street with a public living room, and add interactive large-scale art pieces to encourage play, performance, and local art.